The entire team at the ibis Styles Lille Center Grand Place is looking forward to welcoming you on your next getaway in the capital of Flanders. Take advantage of our location close to everything to discover the warm hospitality of northern France. 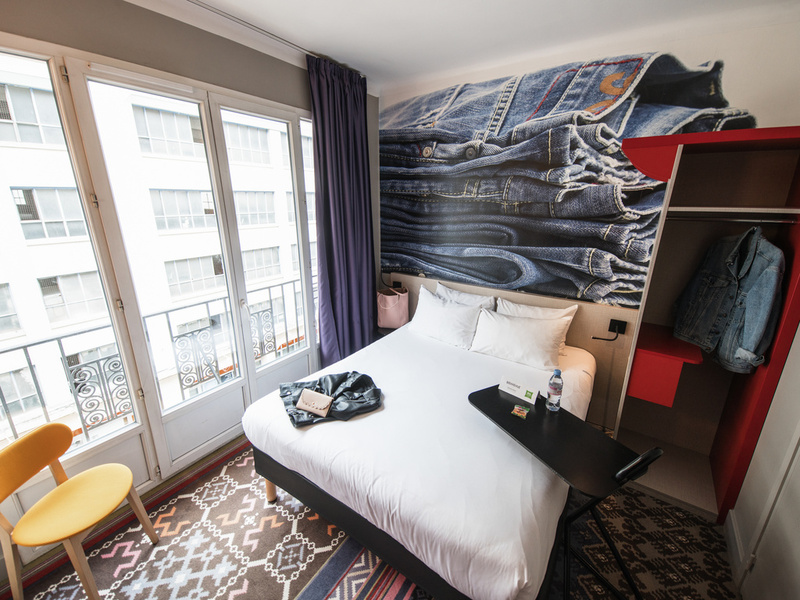 The ibis Styles Lille Centre Grand Place is ideal for cultural stays or business trips. It is located in the heart of the city, close to the metro and Lille-Flandres train station, and 10 minutes from Lille Europe TGV train station (London and Amsterdam in 1.5 hours, Brussels in 30 min, Berlin in 2.5 hours and Paris in 1 hour). Discover the charm of Old Lille and the city's many museums (fine arts, La Piscine, LAM, Louvre-Lens). Enjoy events at the Grand Palais, concerts at the Zenith Arena and more. The new air conditioning in the rooms has been installed just in time for summer, which promises to be a scorcher! Emulate the 2018 Tour de France and stop off in Lille to experience the thrill of the Volleyball Nations League or a Lenny Kravitz concert! Discover the city of Lille and its many attractions; the old town of Vieux Lille, Euralille and the Opera House. Located at the true crossroads of Europe, Lille is vibrant and welcoming. A team that will share the hidden secrets about Lille curiosities! Our bar welcomes you 24 hours a day, every day of the week. Great location, breakfast and parking. Right in the centre of town. Excellent room, quiet. Everything important was good. The location, the bed was comfortable. The TV reception for BBC was the only thing not great. Very welcoming. The staff were particularly helpful and friendly. Very good. Staff were friendly and helpful. Room was basic but clean and comfortable. Decent breakfast selection. Great central location. lovely staff great location and a yummy breakfast. We spoke English and the staff tried hard with their English to help us understand. In the morning there is a lovely selection of items for breakfast. the hotel is close to La place and many eating and shopping areas. the room size is not huge but you are really only sleeping there. There is coffee tea and sometimes soup available all day for guests. Great staff very helpful and welcoming. Lovely rooms very comfortable. Great breakfast lots of choice. We stayed at another Ibis hotel in Lille 2 years ago which is why I booked an Ibis for this trip. We were in Lille for the Christmas market and to do some Christmas shopping. I was pleasantly surprised how close the hotel was to the city centre. The room was clean and comfortable, although a little small but as we intended to be out most of the time the room size was not really an issue. There was a nice choice for breakfast and we liked the fact that we could get hot drinks throughout the day. My only gripe was that we was not informed beforehand that there was a charge for car parking as when we stayed at the other Ibis hotel parking was free. The service was AWESOME: room upgrade, very kind and constant willingness to help: I met 4 of you more of less, and you impressed me all. A team where everybody smiles, and is dedicated to help us. The rooms are unfortunately not at the same standard: the size is really small, windows on a wall, with low natural light on an already grey day. Excellent in all respects, although very busy at breakfast, perhaps need more high tables? Perfect location; clean and quiet room; professional, helpful and knowledgeable staff (especially the gentleman at the reception we dealt with several times, Sebastian); simple but very good breakfast (freshly made juices and lovely breads in particular); ... All in all, it was a very pleasant stay without any problems. I enjoyed my stay in Lille. My room was small, but spotlessly clean with a nice little bathroom - and it even had a small balcony. The bed was very comfortable; and there were real hangers in the closet instead of those fiddly things that are supposed to discourage theft. No in-room tea or coffee making facilities (which seems to be the Ibis norm) but this was compensated for by a free supply in the foyer - with pastries as well! Good cold buffet at breakfast. Helpful folk at reception. Lovely stay, nice cheerful hotel in a convenient central location and friendly helpful staff. I’d stay again. Very efficient and friendly staff. Large and delicious choice for breakfast . All this counted for a splendid week-end. The manager and all of the reception staff always make us feel welcome. Nice room and lucky to have a balcony so that I could have a smoke. Staff were friendly and breakfast was good.